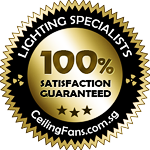 Looking for ceiling fan in Singapore? Considering Singapore’s hot weather, it is unthinkable if most households do not own fans; operating fans would definitely be cheaper than running an air-conditioner alone. In fact, a combination of running the fan together with the air-conditioner also helps to reduce the electricity cost as the fans would circulate the cool air without the need to adjust the air-conditioner to an incredibly low temperature to battle the hot and humid weather. 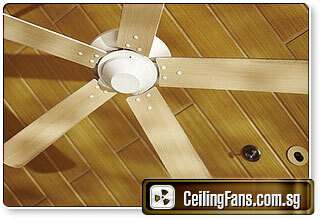 Ceiling fans are made of different materials e.g. plastic, wood and metal and come in various designs. 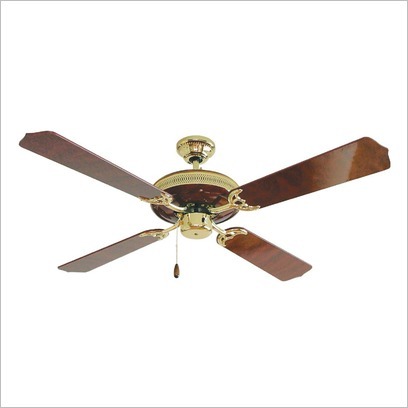 Firstly, the number of fan blades varies, the most common of which have three to five blades and they come in different colours e.g. white, black, brown etc. Secondly, the blades can be of different shape and length. The number of blades and various shapes and lengths as well as the type materials used determine the strength of air being circulated and hence the intensity of the wind. 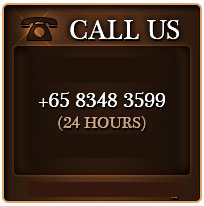 Seek the advice of the supplier to determine the best-balanced choice. 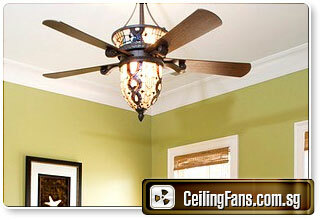 Thirdly, there are ceiling fans designed with attached light bulbs. These light bulbs have shades that come in various designs and colours and the number of light bulbs attached also differs. So instead of having to shop for ceiling lights and ceiling fans separately and not knowing where to install them within the limited confines of the ceiling, you kill two birds with one stone by installing ceiling fans with attached lights. 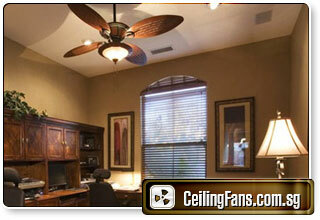 In this way, you can achieve both coolness and brightness to your room, all at the same time! With such wide selection of designs available, you are indeed spoilt for choice when you want one to suit your needs. 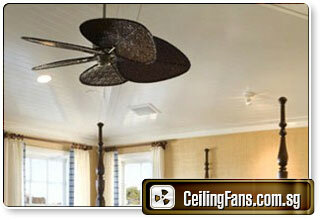 When choosing ceiling fans, you need to consider the size of your room too i.e. 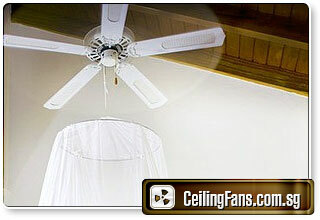 do not choose blades that are too long that cannot fit your bed rooms! 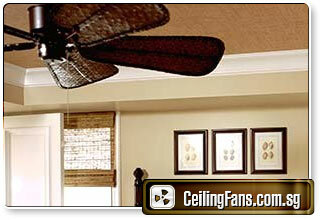 Choose designs of ceiling fans that can bland well with the overall theme of your rooms as well as to give a touch of sophistication. 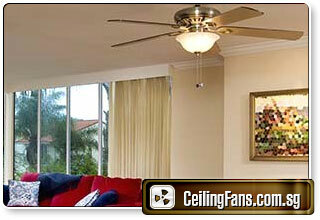 If you desire to have a ceiling fan for your balcony, choose one that is suitable for outdoor use. Installing ceiling fans not only save space and add elegance to your home; you could also reduce electricity cost all at the same time! 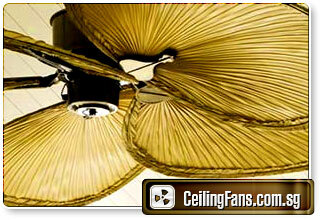 Singapore Lighting & Ceiling Fan Supplier.